I have lived most of my life without a fence. But I never realized, until just recently, how much I needed one. 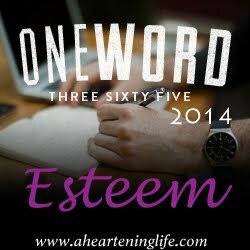 The fenceless life wasn't working for me anymore, so with encouragement and a new awareness I began constructing one. 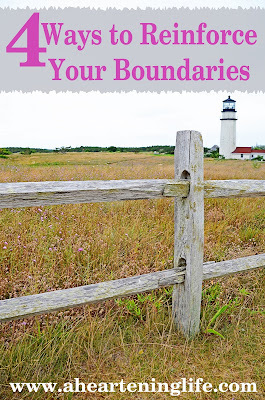 Boundaries don't just magically appear because you want them. And it's far more complicated then pounding posts in the ground and threading some rails between them. At the heart of a fenceless life is fear. I didn't set boundaries because I was afraid — afraid what other people thought, of other people's reactions, that I wasn't making the right choice, or perhaps, afraid of what I could lose. One negative reaction could send me reeling or cause me to doubt myself. It takes time to build a confident boundary that can stand strong and a fence is not built overnight. My fence is new and a bit wobbly right now. The posts and rails aren't very solid and I'm concerned that one strong gust of wind could blow the whole thing down. To reinforce my wobbly fence I have constructed four reinforcements, a plan, if you will, to keep the fence from caving. 1. Take time before you answer. I used to pressure myself to answer someone's request right away, which typically resulted in an impulsive "yes" response. Taking time to consider your answer helps you to make a more honest decision. Give yourself a fair deadline and let the person know when they can expect your answer. 2. Repeat your request. Sometimes people don't take no for an answer. My fence can become wobbly when people ignore or don't accept my "no." I know it can be hard, but sticking to your answer is key. Confidently repeat yourself until they listen. Don't let other people steam roll your fence. 3. Physically remove yourself. Boundaries set limits for you — how much you are willing to accept and what you will do if someone tries to go too far. If someone isn't listening to your boundary and you have confidently repeated it, then by all means, physically remove yourself from the situation. There is a time and a place for being polite. And polite should never be an excuse to allow someone to tear down your fence. 4. Stop talking and regroup. You may think you have built a strong fence only to find that familiar people or situations knock it right over. Maybe you struggle to set boundaries with a particular person. Perhaps you get so tangled in a familiar way of relating that you forget about your boundaries all together. If you find yourself in this type of situation, just stop. Stop talking or take a break from that person or situation until you have a chance to regroup. Less might be more for a while. We all need some fence support sometimes. Confident boundaries come with practice. The more I set boundaries, the less scary they become. Boundaries help me to understand and love myself better. And they affirm, to myself and others, that I matter and am worth considering. What are some reinforcements you use when your boundaries are threatened or ignored? This is a follow-up post. To read The Field and the Fence (A Story About Limits) click here or A Gap In The Fence: Risking Rejection With Boundaries click here. **I decided to re-post this from the archives. 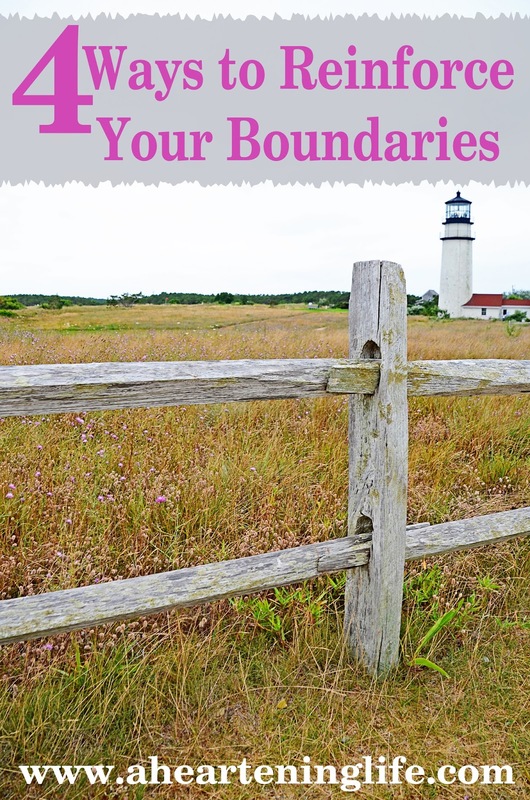 Learning about and creating boundaries has been a significant step in my healing process. Not only understanding what they look like and how to set them, but valuing myself enough to know that I need them has been empowering. It's so hard isn't?? 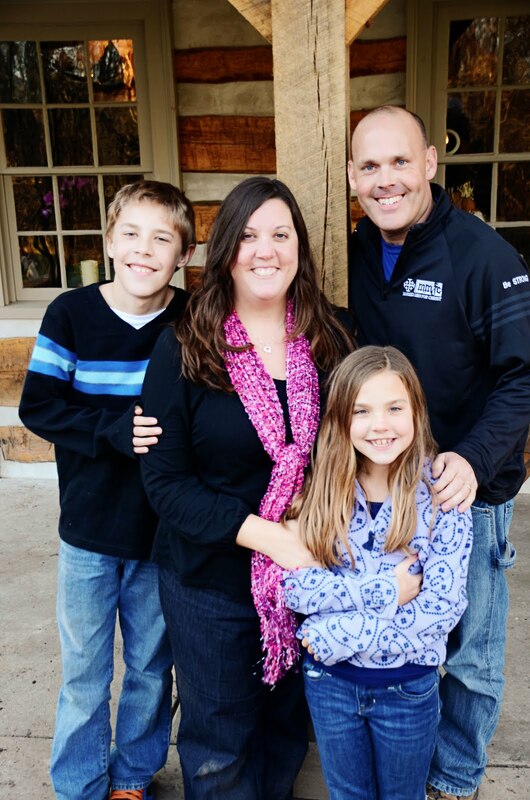 I think for us, our families steam roll over, lay on the guilt. And I have to be the mean one, lay down the law, but I have to or my family falls apart.Great advice and I'm surely going to apply these in my own life. Thank you. These are great reminders, and just what I needed to read today. Thanks, Christy! Christy - So much wisdom here! I especially like number one. It is when I rush into things and don't really consider what is best, that I find myself overrun. Thanks for the advice. Hey there... so I just wrote about fences and boundaries yesterday (writing ahead a bit for my 31 Days...) but I love this and I have learned to live it! I think it is helpful for me to pay attention to how many people are crowding in to my inner circles... there is only room for so many and it helps me to keep my priorities right and my boundaries set! Love that you reposted this as it is such an important topic!